Bruce Lewis (born Dallas, Texas, 1965) [pseudonym B-chan] was an American cartoonist, artist, author, screenwriter, and voice actor. Among the first comics artists to bring manga influences to American comics, Lewis wrote and drew the Robotech: Invid War Aftermath (1993-1994) series for Marvel's Malibu/Eternity Comics line. Later, Lewis created the Robotech: Hohsq's Story (1995), and Robotech Aftermath: Megaroad (1996) series for Academy Comics; he also wrote and illustrated the four-issue Gall Force: Eternal Story (1994-1995) miniseries for CPM Manga, and colored, lettered, and produced many more CPM comics titles. From 1995 to 1997 Lewis was part of the Studio Go! production team which collectively wrote, drew, and edited Star Blazers: The Magazine of Space Battleship Yamato for Voyager Entertainment, Inc.'s Argo Press imprint. He also edited the Star Blazers Perfect Album sourcebook, also published by Argo Press. His most recent pure comics work was the comics novella "Dairooster 5!" and the short story manga "It Happened in the 7th Grade", both featured in 2002's Juku: A Comics Album. He also appears from time to time in other media, including magazines, newspapers, television and radio. Bruce Lewis has been frequently cited in both the news media and literature of anime and manga in North America, including the standard references Dreamland Japan: Writings on Modern Manga by Frederik L. Schodt and Samurai in Outer Space by Antonia Levi. 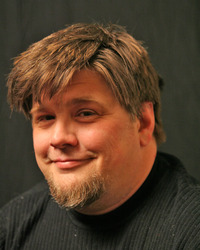 He is also a well-known and frequent speaker on the anime and manga convention circuit in the United States, and was Fansview.com's "Anime Convention Personality of the Week" for March 12, 2000. An advertising artist and art director for some fifteen years, Bruce Lewis specialized in strongly iconic and stylized images in his design approach, a specialty inspired by his lifelong love for poster art. Today, he produces illustration work for a variety of media clients through his freelance business, the Henderson Lewis Company. Lewis has written extensively on anime and manga. His writing has been published in Animage, Animerica, Star Blazers: The Magazine of Space Battleship Yamato, Anime UK, Anime FX , Wired (Letters, 2000), Wizard, Manga Max and Pulp. He is the author of two books: Juku: A Comics Album (Atlanta, Cheap Disposable Entertainment, Inc., 2002; ISBN 0-9703837-0-3 (Co authors: David Merrill, Shaindle Minuk, Daniel Baker, and Edward Hill) and Draw Manga: How To Draw Manga In Your Own Unique Style (London, Anova Books 2005, ISBN 1-84340-188-6). Draw Manga was a bestseller and critical success -- the only original English-language manga instructional book to be recommended to readers by the editors of Shōjo Beat magazine -- and remains in print as of Spring 2009, four years after its publication. Bruce Lewis has also written one script for television (Kodocha, Season 2, Episode #32, "Father! You Were Arrested!") for FUNimation Productions. He was also a voice actor and writer for an online television network. In 2004 Lewis began appearing in American English-language anime productions. His most recent role was the part of Magobei in Sengoku Basara: The Last Party, reprising from the television series. He died on May 15, 2016 from a brain tumor and is survived by his wife and children.